The cost blow-out after breakfast is recovered. Hot dinners and ice-cream close out the day and all money is depleted. Normally, 2 halves are equal to the whole, but at Subway, things are different. A 12 inch sub divided into two, is cheaper than two six inch subs. Why? I suppose it comes down to the labour involved in preparing two subs compared with preparing one sub and cutting it in half. So if you’re prepared to agree on fillings with one other person, you can spend very little on lunch. We drank only tap water which we brought with us and so was free. Our lunch spending is below $5 per person and we are back on track for achieving the $30 limit per person for the day’s food. It’s amazing how restrained the kids are about buying lollies when it’s their own money. We visited IGA supermarket where I bought some Kit Kats and the kids picked out a couple of packs of fruit tingles paying for them from their $30 budget. Southgate food court provides a great place to sit down by the river side and watch the world go by against the striking backdrop of Melbourne’s city skyline. For the price of a coffee, this is what I consider to be one of Melbourne’s great value pass-times. Elsewhere in the world, you would pay a pretty Euro for the privilege as exclusive cafes and restaurants dominate the best vantage points. It’s technically not OK to bring supermarket food into a food court but by buying a few coffees from Coffee Minded at the food court it justifies the use of the table. Our cheap day out in Melbourne was inevitably going to be about more than just food. Between meals there is time to kill and kids need to burn energy. 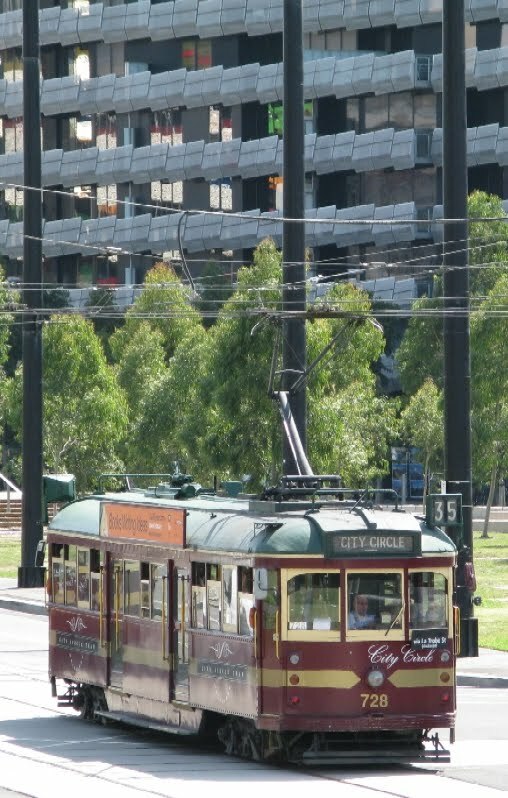 We made use of the free city circle tram to get around town. In a separate page I have created a list of free things to do in Melbourne. For an inexpensive dinner in Melbourne I had one particular strip of restaurants in mind. Just short of the top end of Swantson St is where you’ll find a string of inexpensive Vietnamese, Japanese and almost any “nese” restaurant you care to mention. They exist to serve students, city workers, tourists, shoppers and locals which means they are always busy. Their constant high turn over of hungry diners means they can offer top value casual dining since fixed costs such as rent are spread across a greater number of customers. 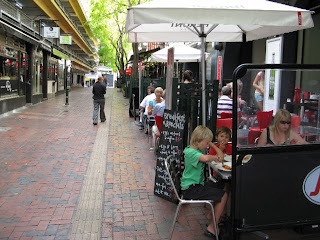 These few city blocks along Swanston St between Little Lonsdale St and Little Bourke St are the frugal place to eat. We settled on the Vietnamese Grill Bar and we weren’t disappointed. 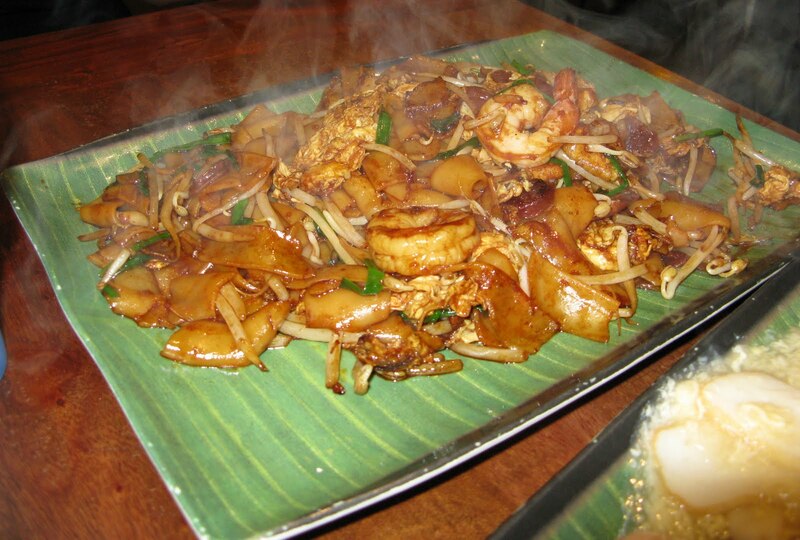 Most main dishes are below $10 which leaves room in the budget for soft drinks and ice-cream deserts for the kids. Staff are friendly and responsive. Meals are delivered steaming hot. The Fried Koay Teow lands at the table from the kitchen still sizzling. I can’t fault my Beef and Mung Bean Noodle and the kids ate every bit of their noodle dishes. An average of $15.30 each was spent at dinner bringing the total to just under the $30 per person limit for food for the day. Hooray we passed the challenge! We spent only $30 per person for a whole day of eating a variety of food in Melbourne. The boys each politely accepted the few meager coins remaining of the original $30 they had held in their hands not 12 hours ago. Hopefully their crazy cheapskate dad has not introduced a simmering childhood resentment which will cost me much, much more in therapy in years to come. I prefer to believe the day has ended with better understanding of the value of money and appreciation for good food. We attempt to order a Sunday breakfast for only $5 per head. This was perhaps a little too ambitious. The invention of sliced bread was surely a profound milestone of last century. Breakfast had certainly been made a little easier. No longer did we need to risk the use of a sharp knife first thing in the morning. But the perils of the electric toaster remain. All those buttons and nobs needing to be accurately adjusted so that each member of the household can have their special variant of packaged bread toasted to a golden brown perfection. Surely there must be an easier way. And boiling an egg? Forget it! Eating out for breakfast is the new best thing since…well... you know. 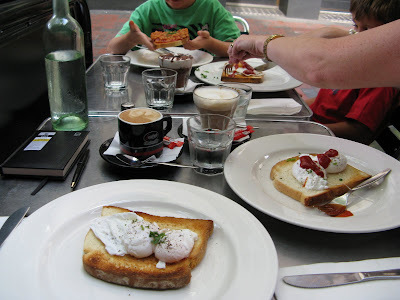 With hunger in our bellies and cash in our pockets we arrived in the centre of Melbourne and headed to Hardware St. Down this red brick paved lane, closed to traffic, there are several options for a low cost hearty breakfast, even on a weekend. 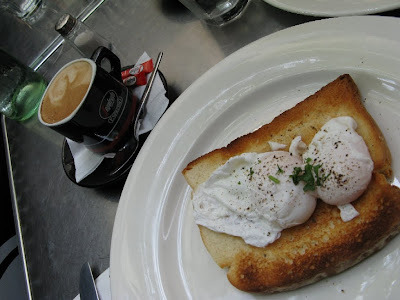 Here we found Trim café where you can order eggs on toast with a coffee or tea for $6. Substituting one coffee with hot chocolate unexpectedly, but quite rightly, added a little cost. Our eldest boy was happy with simple baked beans on toast. With a 10% weekend surcharge slapped on the top, we are already starting to edge ourselves over the original $5 guideline for breakfast. Still it’s early in the day yet and we’ll just have to make smarter choices for lunch and dinner. Tip: Watch for the weekend surcharge of between 10% and 20% added to your bill at most cafes. Breakfast cost us on average $6.25 each leaving $23.75 per person for all our remaining meals for the day. Not a great start since I know we will want a decent meal come dinner time. Would our parents and grandparents have gone out for breakfast? Is it the ultimate in laziness? Are there better inventions than sliced bread? And speaking of such things what ever happened to drawstring tea bags? Please comment. We set out to prove that you can dine out eating interesting meals, not junk food, for the entire day costing only $30 per person. The family are quite used to not being taken out for meals by their frugal dad. They know that unless someone is turning 21, announcing an engagement or being invited into Cambridge University on a scholarship, indulging in restaurant meals as a family is an unlikely event. It must have caught the family off guard when I announced this eating out challenge one Sunday morning. The opportunity of not cooking or washing dishes or cleaning exploding meals from the microwave for a whole day didn’t quite cause the enthusiastic stampede toward the front door I expected. $30 per person handed out to each man, women and child at start of day. They keep what ever is left over at the end of the day. No junk meals. Burger and chips is not a meal. Spend the money however they choose at the places I take them to based on my experience from writing this blog. No other money will be spent on sustenance for the day. The initial reaction was one of disbelief and bewilderment. Eventually jaws did drop when I placed $30 each into the hands of two boys aged 5 and 8, who had never seen such a large sum emerge from dad’s wallet and be handed directly to them to spend how they saw fit. However the cash, which they caressed lovingly, had strings attached. I knew hunger would prevail and the money would be all but spent by sunset. "...the less it costs to eat out, the more often I can do it..."
I do enjoy dining out and the less it costs to eat out, the more often I can do it. Oh sure there’s something to be said for rolling up the sleeves and creating a satisfying dish at home in the kitchen. But you need time and energy to do it justice. 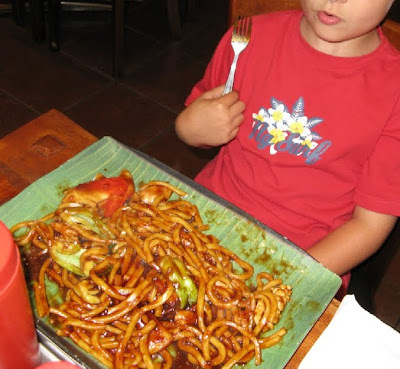 Dining out is my moment to sit down, give the orders, eat well and have others clean up after my messy kids. “It’s good to be the king”. Quite on purpose I chose a Sunday for this challenge. Sunday is the hardest day of the week to find low cost food in town since the business end of town is all but closed. If we can meet the $30 per person challenge on a Sunday then spending less than $30 each on food any other day of the week should be easy. Read Part 2 - The Kids Learn How to Budget While Having a Fun Day Out in a forthcoming post. Do you think you could dine out well in your home town for $30 per day? Please comment below. That Much Cheaper Hotels at WOTIF – WTF! Last minute accommodation online booking websites are still useful despite hotel price guarantees. The Stock Exchange symbol for wotif.com is WTF. It is also a three letter acronym perfectly describing how I felt recently when I discovered how much money I could have saved by booking my weekend accommodation with WOTIF, rather than directly with the hotel. My recent stay at Crown Metropol in Melbourne costing $500 including valet and breakfast, could have been almost half the price by booking a $275 package on wotif.com or lastminute.com.au. But 6 weeks before our stay at Crown Metropol, I chose to book directly with Crown online at crownmetropol.com.au. I did so thinking it was too early for those last minute websites to have any worthwhile deals, and I was saving 15% under an “Advanced purchase discount” directly from Crown. I now know I could have saved almost 50% with a package from wotif.com which included the valet parking and breakfast for two but a slightly different room not on a corner. The point is, this great value package didn’t present itself when booking directly with Crown online. So last minute discount websites are still a great way to find stunning bargains, even several weeks before your holiday is due to begin. But that is not the end of the lesson. Many big hotel chains other than Crown, have a price guarantee for bookings made directly with the hotel. 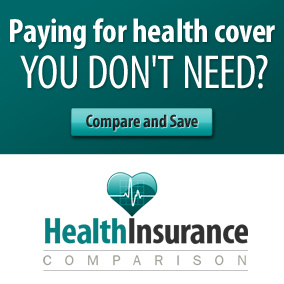 They promise you won’t find the same room, with the same restrictions, for the same date, at a better price elsewhere. By and large the big hotel chains such as Hilton and Accor, are holding true to the spirit of these lowest price promises, with equal or lower prices to be found on their websites. Potentially, however, there are more weasel words in these hotel price guarantees than a ferret convention. There is still scope for the wotifs of the world to offer a better deal. And they often do. Last minute discount websites may offer competitive packages, adding food and extras, while tightening cancellation restrictions. Over all, the package could be a better deal than what the hotel offer directly. I suspect that if you tackled the hotel on their rate guarantee, sighting a better value for a package on a discount website, there would be enough wriggle room for the hotel to weasel out of the guarantee since the package is not directly comparable given the special inclusions and restrictions. Websites such as WOTIF are handy for planning the holiday. All available options are displayed. Find a room you like, then check elsewhere to confirm you have the absolute best deal. The best rate is often a phone call away, especially for small family run accommodation businesses. When booking online, check both the last minute website and the hotels own website. The best deal could be on either. Last minute websites charge booking fees, usually between $3 and $6. Last minute discount accommodation websites still offer the best deal for some hotels, but not always. However it’s rare that you would be much worse off booking via a discount web site. The best last minute deals can be found by a good old fashioned telephone call to the hotel directly. How did you discover your best accommodation deals? Please comment. Also of interest: A Free Hotel Room in Melbourne, Cheap Hotels in Brisbane, Budget Travel Tips for Those Who Plan, Melbourne Is More Than Fun, It’s Free, Hoteliers - Prices tumble, so live it up!